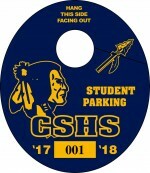 Great Prices on Parking Permit Hang Tags for High Schools, Colleges and Businesses. Order Oval Parking Tags or Parking Permit Decals Today and SAVE. 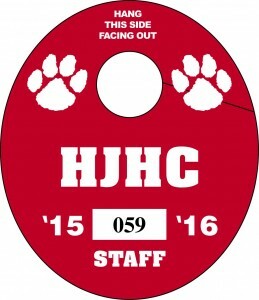 Our oval parking hang tags are practical and functional for school and business campuses. Oval parking hangers are clearly visible from one pinpoint location, ideal for those individuals who use multiple vehicles or desire no identification when away from campus. 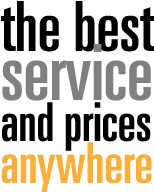 Call today, an see why high schools, colleges, universities and business use our parking tags. 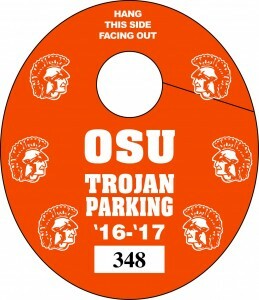 Oval parking tags, hang below the rearview mirror and are an easy identifiable parking permit (Size 3 15/16″ X 41/2″).